The designation of Ireland West Airport Knock (IWAK ) as strategic development zone (SDZ ) this week by the Cabinet has been warmly welcomed around the county, the push to get the airport designated as an SDZ has been an ongoing issue for almost 10 years - with a number of different plans being put in place by the local authority to ensure the airport qualified for this designation. The potential of the designation being given to the airport was raised again earlier this year at the February meeting of Mayo County Council which was held in the airport, where the chief executive of the local authority Peter Hynes said: “Indications are positive, and while it is not in our gift to say categorically it will happen, that is a matter for the Cabinet, we expect a positive recommendation to go to Cabinet in the not too distant future." That recommendation was put to and approved by the Cabinet this week. Announcing the news, An Taoiseach, Enda Kenny, said: “I am delighted to confirm that a strategic development zone for Knock Airport has been approved by Cabinet. 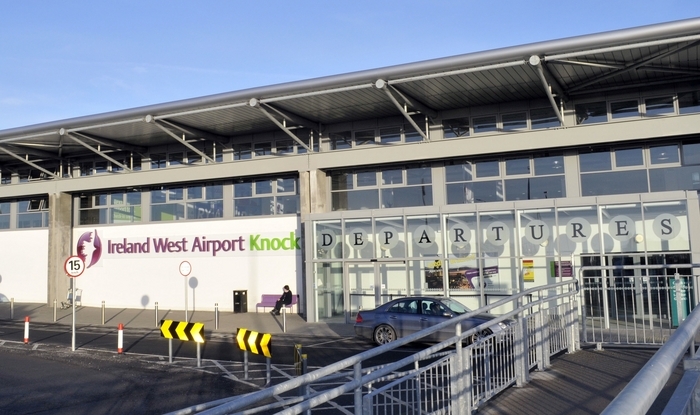 Today’s decision will secure the long-term development of Ireland West Airport Knock as well as attracting enterprise to the area and the provision of further employment possibilities for the people of Mayo. "Our airport is growing at an extraordinary rate, indeed the fastest in the country, with an increase in passenger numbers of 9.1 per cent compared to the same time last year. With such growth come great opportunities for the creation of business and employment, however we must also be cognisant of the associated challenges including the provision of infrastructure. The designation of the airport as an SDZ will help plan for expansion while ensuring any future challenges are carefully addressed. Fianna Fáil TD for Mayo Dara Calleary has welcomed the decision, however he warned that the move must be backed up with investment to ensure that the area is properly developed. Deputy Calleary commented: “The confirmation of this SDZ has been a long time coming, and while I welcome the fact that the area around Knock Airport has now finally been designated as a strategic development zone it is imperative that funds are made available to improve the infrastructure around the site. “The designation of the SDZ is only the first step in the process. We need to see a proper commitment to this area to enable it to attract business and industrial opportunities. This development has the potential to bring jobs and investment into Mayo and every effort must be made to ensure that this vision becomes a reality. This has never been more important than now, with Brexit coming down the tracks, we need to be ready to maximise our attractiveness to industries and bring more jobs to the region."